events of your life with the sophistication and elegance that you demand. 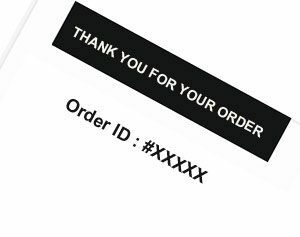 Once you have completed your order you will receive a receipt that contains your Order ID number. 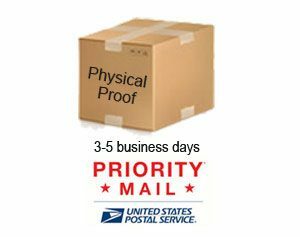 To ensure that everything is exactly as you want it, we will send you a physical Proof of your Message In A Bottle invitations via USPS priority mail within 3-5 business days. 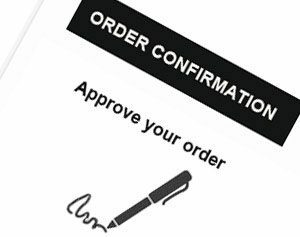 To approve your order and for work to commence on your invitations, you must sign and fax us back the Order Confirmation Form that is included with your proof or alternately you may digitally sign the email version of the Order Confirmation Form that is sent to you. 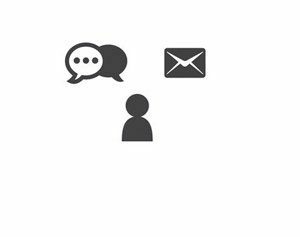 This form simply indicates that you are satisfied with your proof and wish for work on your invitations to begin. During the processing of your invites one of our experts from the Message In A Bottle Invitations Division will contact you to gather your guest list information. Our standard turn around time for completing invitation orders once a signed Order Confirmation. Form is received is two weeks. Now sit back, let us do the work and rest easy and confident knowing that you've entrusted your invitations to the best in the business. Message In A Bottle.com knows how important it is that everything be “Just Right” for your event. We also know that you have a million and one things to attend to. It is our goal to make your event a success and to take at least one worry off your list. Our commitment to providing excellent service is unparalleled and our expertise cannot be matched. Don’t be fooled by sound alike websites that have recently appeared that offer fakes. Your event is no time to be experimenting with imitations! Remember, real Message In A Bottle invitations are only available here at Message In A Bottle.com. For a limited time only we are offering free ground shipping of your invitations to your address for hand delivery or for taking advantage of shipping rates closer to your own zip code. Shipping charges still apply if we ship your invitations for you directly to your guests from our distribution facilities. We’re so confident that you’ll love genuine Message In A Bottle Wedding Invitations that we include a Free Physical Proof with every order! “We just received the invites! They look amazing! Thank you so much for all the work you put into doing them so well! We received our Message In A Bottle invitations from you today. A big thank you to all!!!!…. we are delighted,as will our guests be when they receive them in the post!!. Good Morning,I received the final proof for my invitations yesterday. Thank you, Thank you, Thank you I love them sooo much! I can’t wait till my guests receive theirs in the mail. “I wanted to let you know how pleased I am with how the invitations turned out! They look great, and our guests were very impressed by them. Thank you so much for putting together such a unique, beautiful invite. I’m so glad we decided to use your product. Thanks again! It was a pleasure working with you and your service was excellent. We are so happy with the way these invitations turned out. We will highly recommend you in the future to anyone who might be interested in this sort of thing. assembly for about the same price as inferior do-it yourself products found elsewhere. We believe that to create impeccable invitations one must start with the best materials. Our beautiful proprietary glass and plastic bottles are Post Office approved, crystal clear and of the highest quality. Unlike bottles available elsewhere, neither our glass nor our plastic bottles are the small condiment or sauce bottles. These can typically be identified by an unsightly screw-top thread that is sometimes disguised with a cord tied into a knot around the thread. 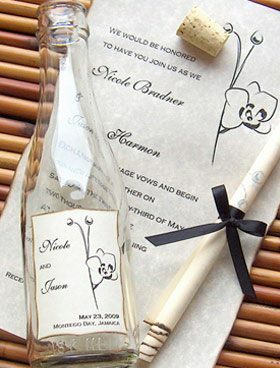 Additionally we import from France only the finest acid-free archival quality parchment paper for the production of our invitation scrolls..
Each one of our Message In A Bottle invitations is lovingly assembled and decorated by hand. We offer a full range of services and a full line of products, so please call us toll free at 1-800-959-2069 if you have any special requests. Because our designs are professionally coordinated, the theme of your invitation remains consistent throughout its presentation. 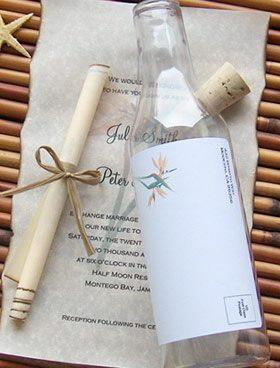 Every bottle comes with its own label and matching invitation that is printed with the particulars of your event and hand-rolled and placed inside the bottle. From the simple to the ornate, we’re sure you’ll find an invitation that is exactly what you are looking for. 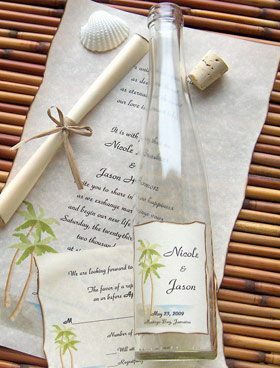 With real Message In A Bottle invitations, no assembly of your invitations is required, we do all the work for you! You can either receive your order of invitations already pre-addressed and ready to take the Post Office or to hand deliver yourself or you can order postage and have us ship them for you.